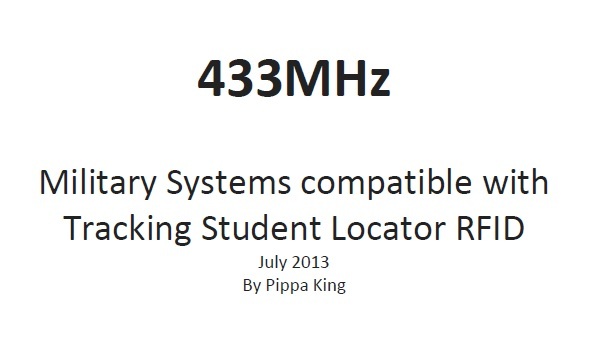 20,000 RFID tagged students in UK? West Cheshire College, England, UK, uses RFID to track up to 20,000 students? – and not a mention on their website? – the US company who has sold them the technology uses our UK school to promote their RFID technology. [NB. This RFID Journal article was withdrawn from the RFID Journal’s website w/c 7 Jan 2013 – The same month the college refused to answer Freedom of Information request on how consent was gained from the students. This entry was posted in Consent, Ethical, Privacy, Real Time Location System, RFID College, RFID school, RFID tracking, Tracking children, UK, West Cheshire College and tagged college, education?, RFID children, RFID school, RFID tracking, RTLS, surveillance, Tracking children, UK, West Cheshire College. Bookmark the permalink.